This brand new beautiful townhome in the new Westbranch community has it all! 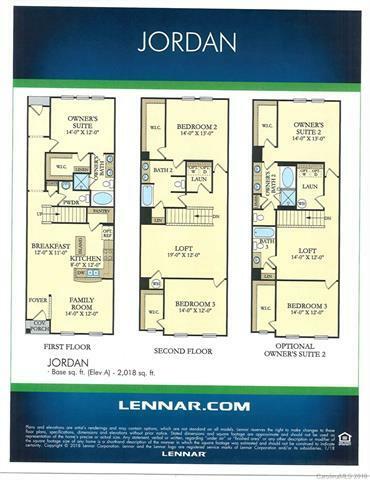 Featuring 3 bedrooms, 3.5 bathrooms and 2026 sqft. of ample living space. This incredible layout offers a Master down, and secondary Master upstairs, 3 walk in closets, gas range, and an open concept throughout the downstairs. Fall in love with the many features such as granite countertops, ceramic tile floors, stainless steel appliances and much more.The Westbranch community offers both single family homes and townhomes with a wide variety of amenities including community pool, cabana and access to Davidson greenway trails. Enjoy living in this prime Davidson location close to everything! Sold by Southern Crescent Realty.